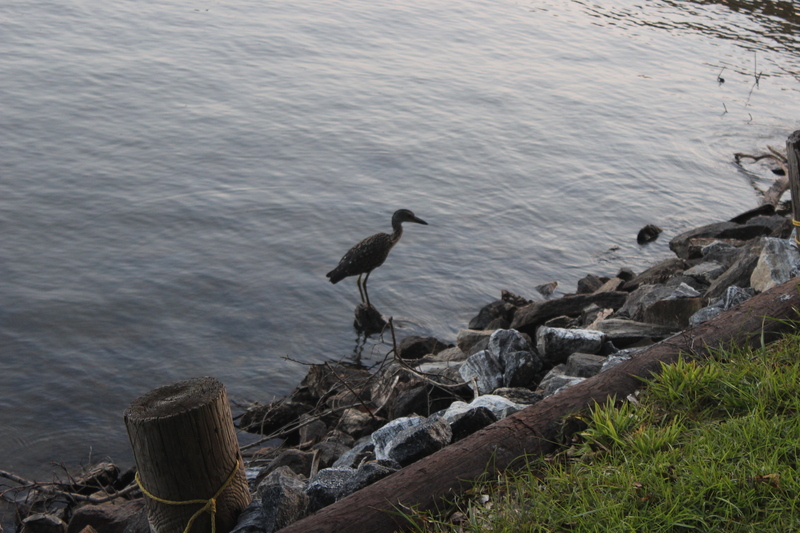 A Limpkin at Lake Norman? My children spotted this little guy while they were fishing one evening last week. We grabbed the camera and the bird book. 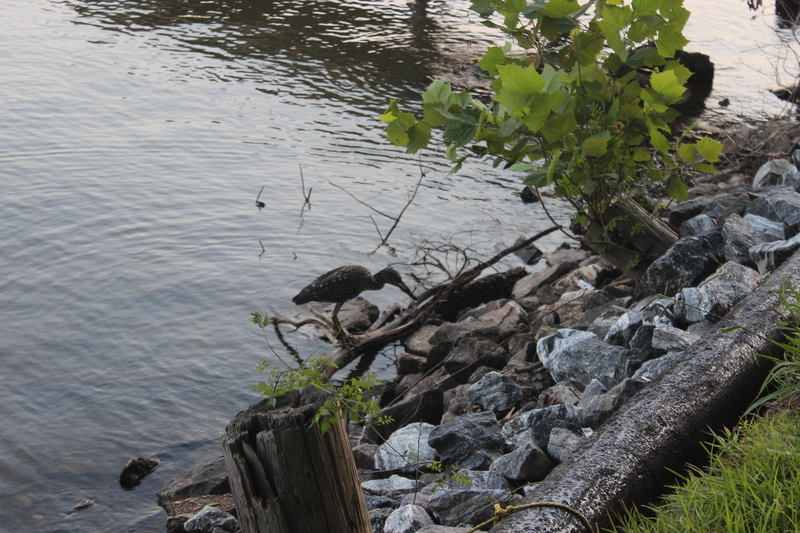 We thought it was an immature night heron, until we read the article in the Charlotte Observer by Taylor Piephoff. If it was a limpkin, it came from Florida. We knew we had not seen this bird before, but did not know this was possibly a rare event. Jacob and I are still comparing photos of both. Some of the markings look more like a night heron. Jacob got these great photos. The bird was eating crayfish from the rocks of our seawall. If you want to read more about our birds in the piedmonyt of North Carolina, Taylor Piephoff has a blog, piedmontbirding.blogspot.com. Unusual bird on our shore. 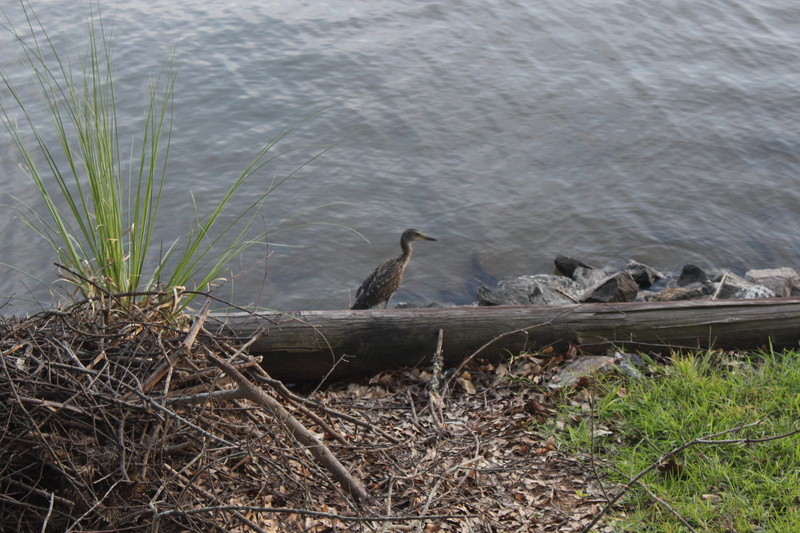 Lonely limpkin was lost and found. But he still looks lonely. I agree. It seemed glad to let Jacob get close and take its picture.